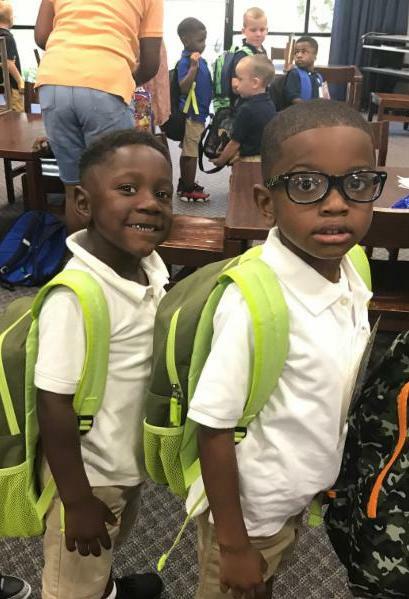 First Day for Pre-K Students! Bains students are back at it! They are reading, studying, and reviewing their work long before the school day begins. 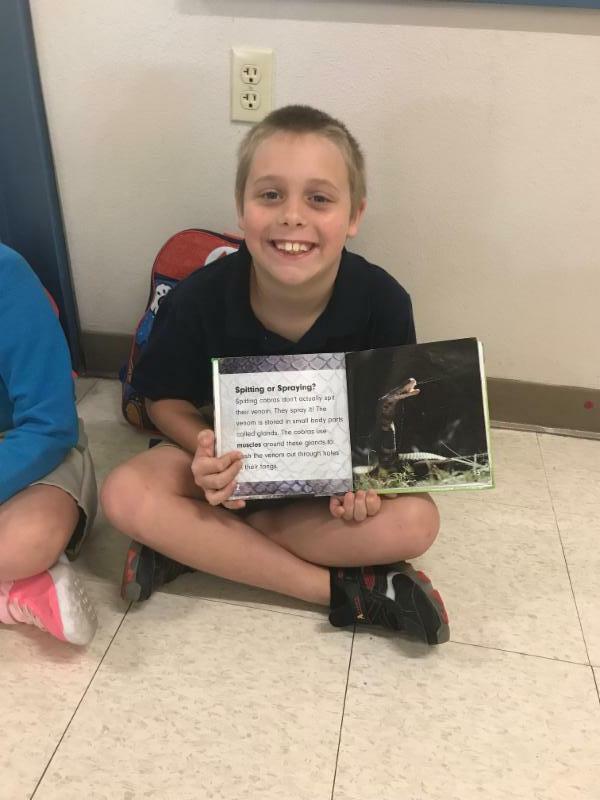 Noah Johnson enjoys reading a book on Cobras before school at Bains! 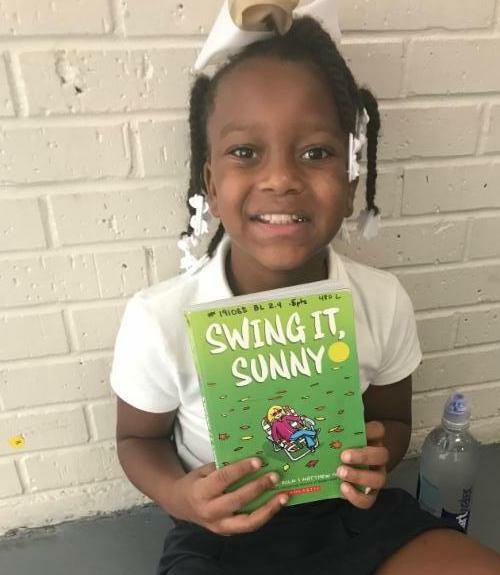 India Carter enjoys reading Swing it Sunny before school. A SHOUT OUT! 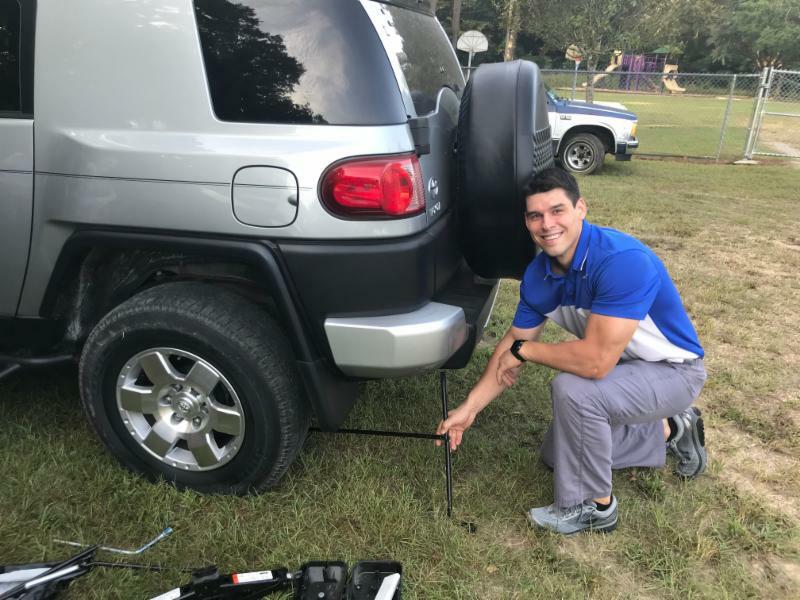 goes to Mr. Grant Ollenburger, Bains Lower Speech Therapist, for helping fix a flat tire for a parent in the car pool line. 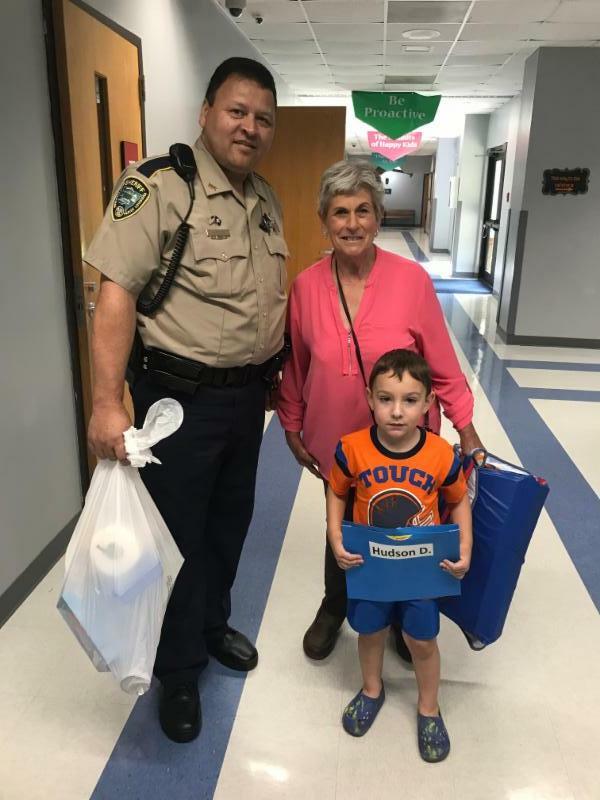 Sheriff Deputy Shelton Scales assists James Hudson Deville and his grandmother as they bring supplies to his pre-k classroom. Bains Elementary is a Lighthouse school for teaching leadership to our students. What happens at a Lighthouse school? 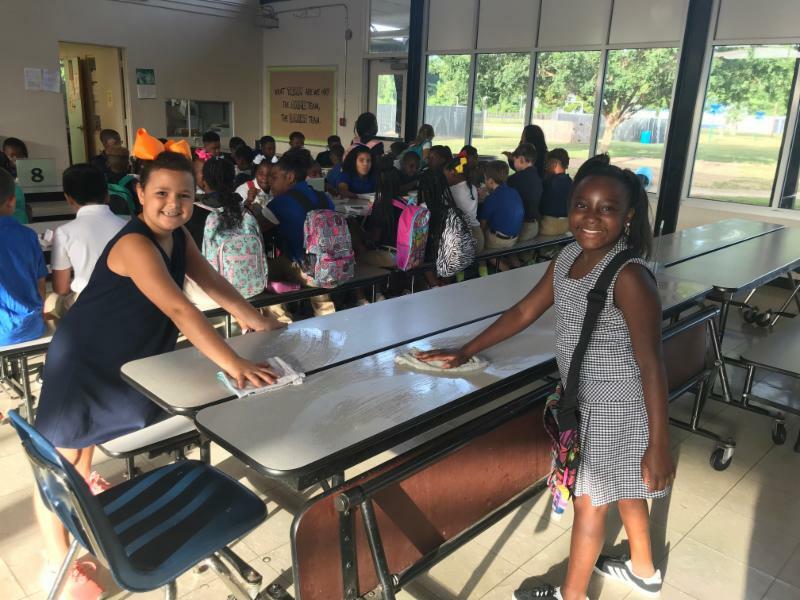 Students like Georgia and Marley help clean tables at breakfast. 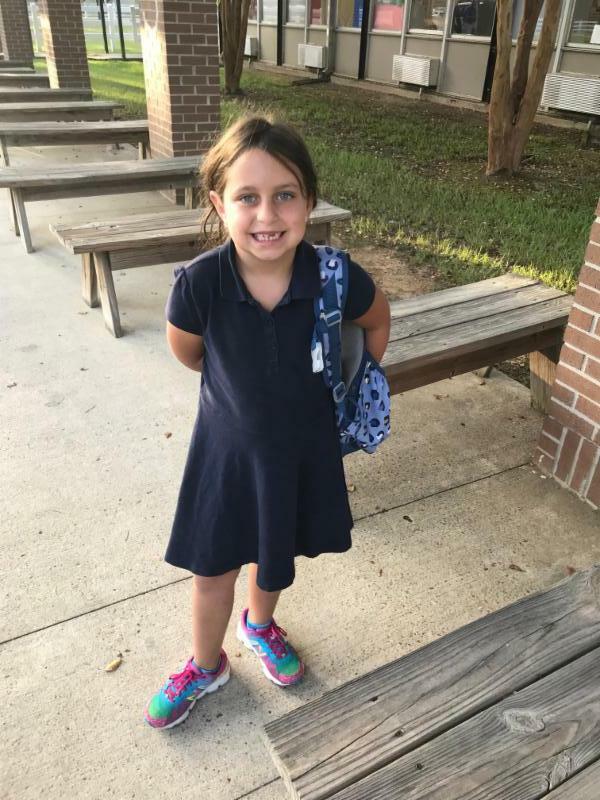 Georgia Metz said, "We take pride in our school and cleaning up after ourselves is a responsibility." Marley Kador added, "We are leaders at our school. And leaders make sure that things get done." 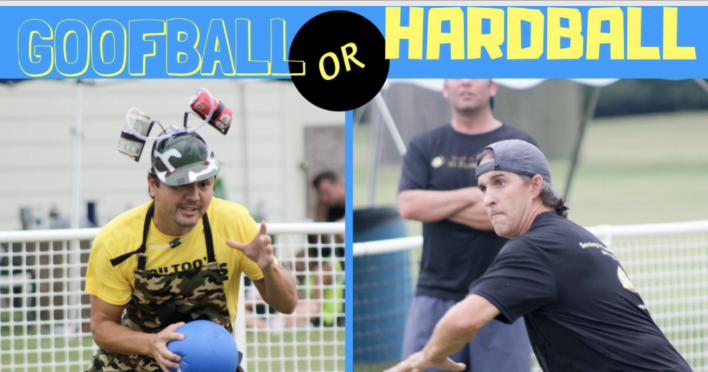 Who says Mondays can't be fun? Bryli Dupont and Madison Reed were both enthusiastic about coming to school and getting the week off to a GREAT start. 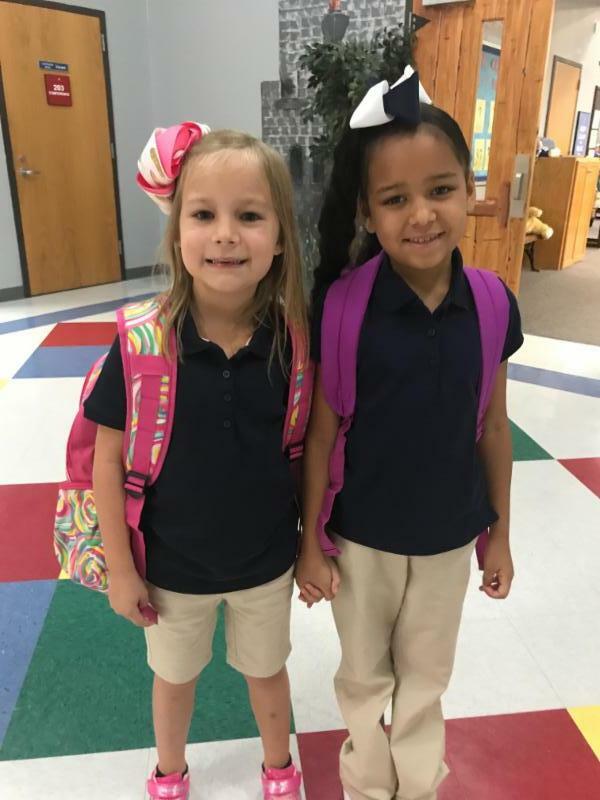 They held hands as they entered the main hallway simply to stay "together" as they head for Ms. Viguerie's first grade class. 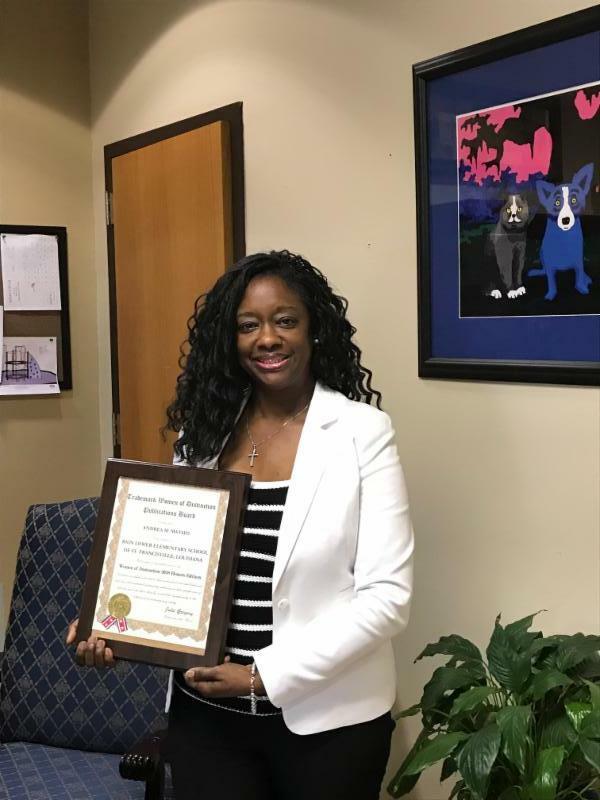 Ms. Andrea "Monique" Mathis has been selected as one of the 2018 Trademark Women of Distinction. Trademark Women of Distinction recognizes top flight women in business. 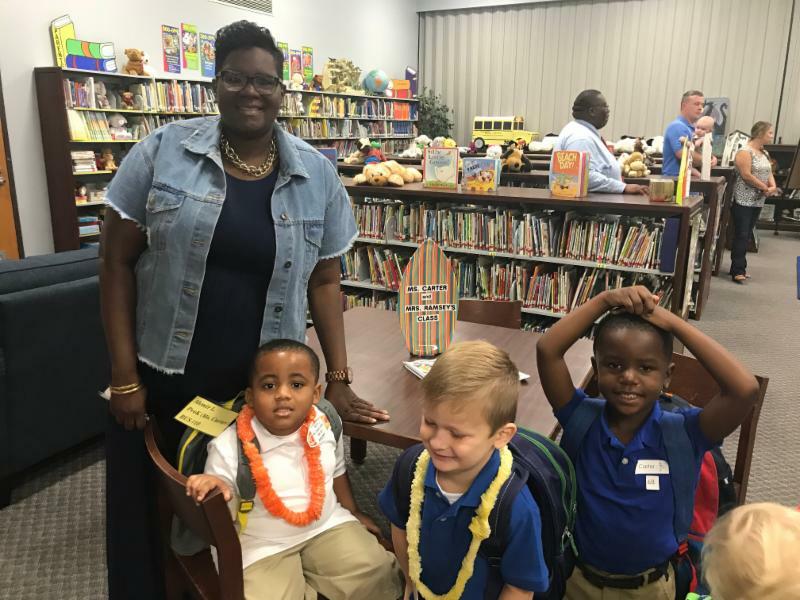 Ms. Mathis has been the Principal of Bains Lower for the last three years. 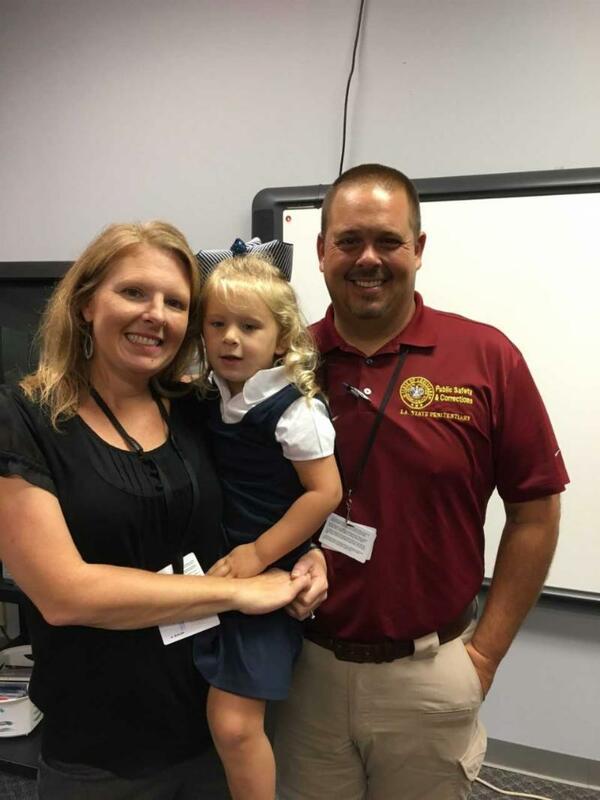 During her tenure, she has led the school to the Lighthouse distinction for the Leader in Me program. 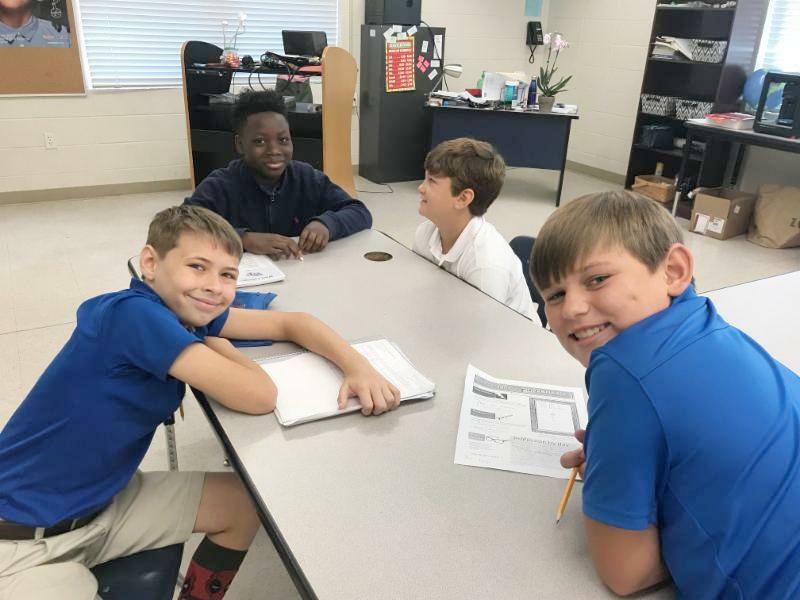 The Leader in Me program teaches our students the 7 Habits of Highly Effective Students. 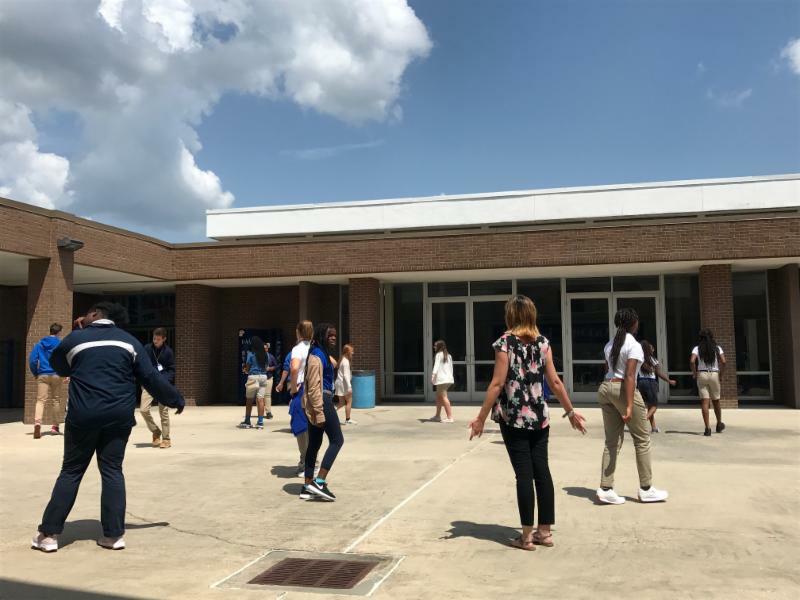 She has also partnered with the George Rodrigue Foundation to teach our students through the lens of the arts in all classes and all content areas. 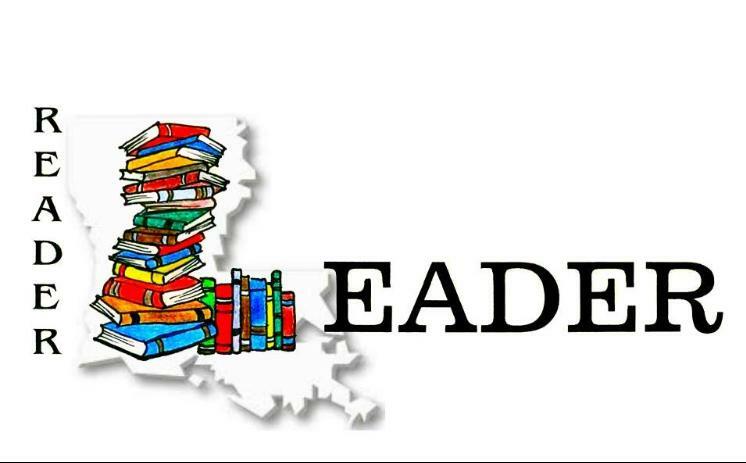 Bains Lower has been deemed a Louisiana A Plus School because of our work with the George Rodrique F oundation. 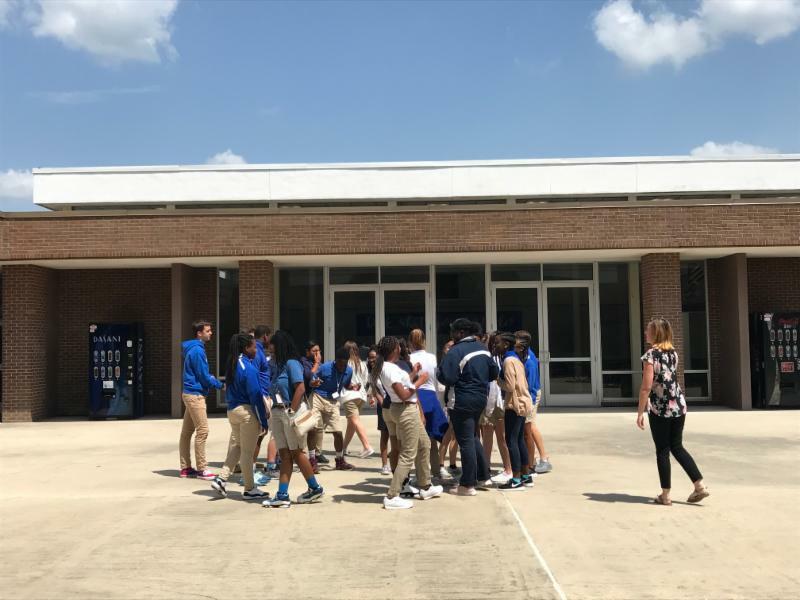 Ms. Mathis was the 2018 West Feliciana Principal of the Year! 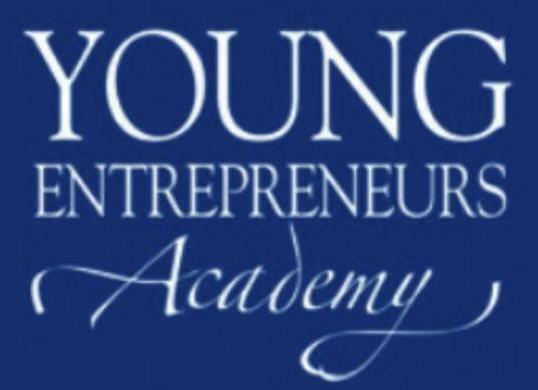 We are very excited to announce that we have three students selected to the inaugural Baton Rouge Youth Entrepreneural Academy (YEA!). 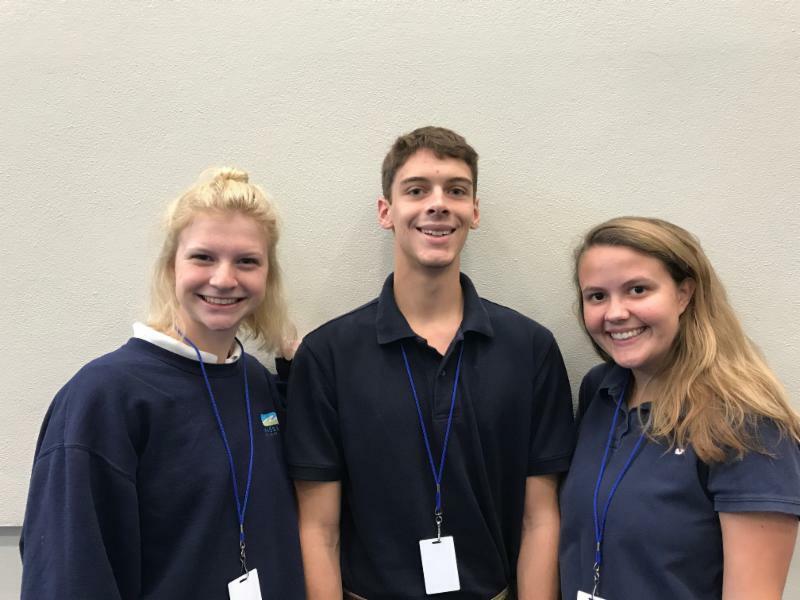 Congratulations goes to Lilly Ray, Jack Hosford, and Mary Barrow for their selection into YEA! 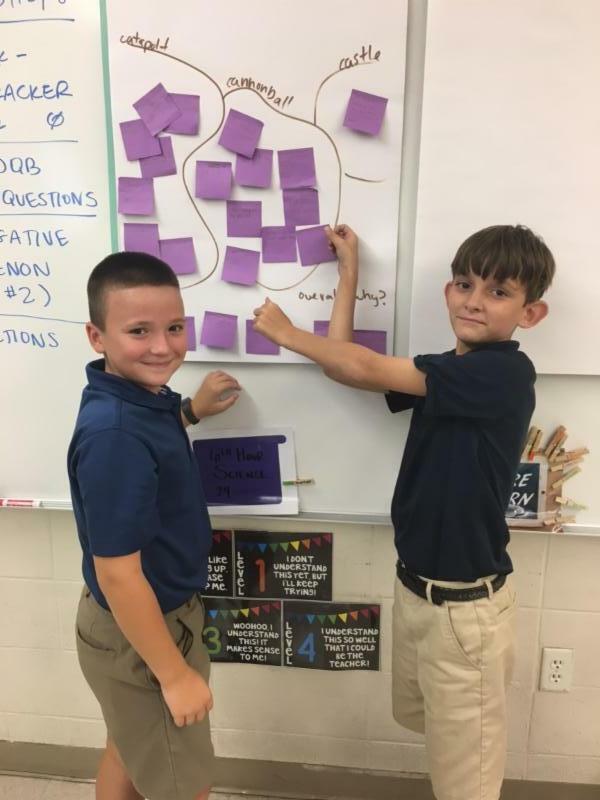 WFMS 6th graders worked in teams to choose their Superhero in Ms. Reed's class. Gauge Metz, Darius Emery, Bodie Triche, and Collin McEachern chose a superhero who inspires us all and helps the homeless. Now that's an ideal superhero! 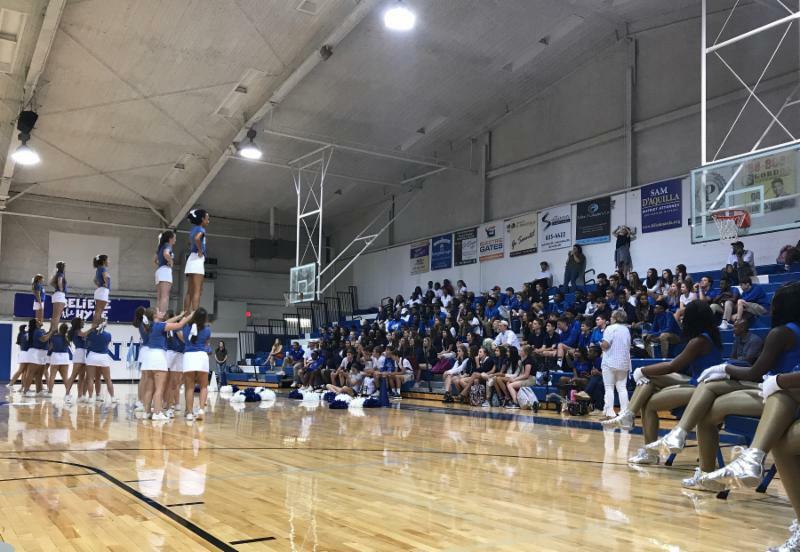 The WFHS cheerleaders performed for the freshmen at the Freshmen Only Night, introducing them to the school culture and organizations. Lucie Stout shared a great idea for Bains: a family bench! 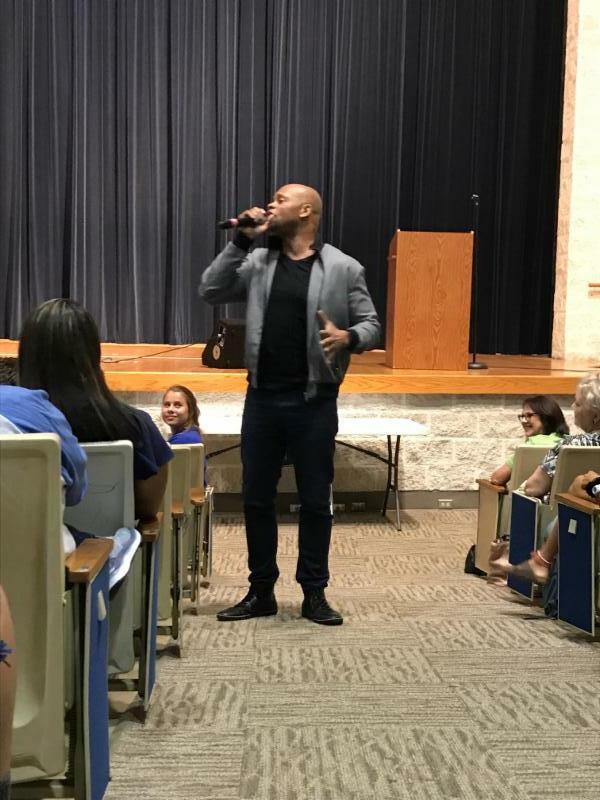 I really like the idea because as I heard our School Board Vice President say on Tuesday night, "Family is the oldest institution that makes all other institutions stronger." We will explore the idea of a family bench. 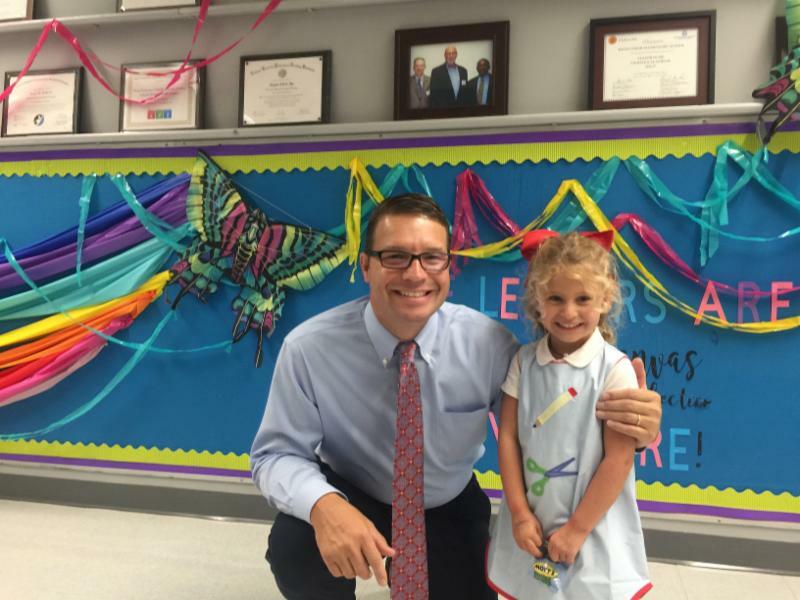 If the idea becomes a reality, then Lucie, a courageous second grader, deserves all the credit. 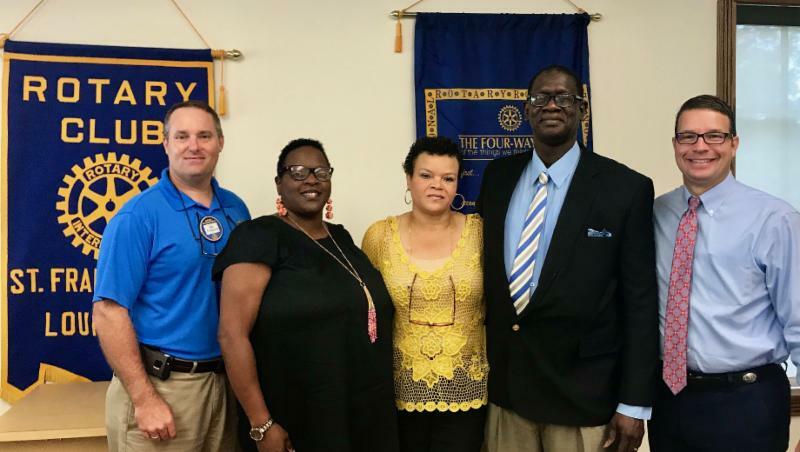 Ms. Sharon Gabriel provided insight about the Better Behavior Program at Bains to the St. Francisville Rotary on Tuesday. 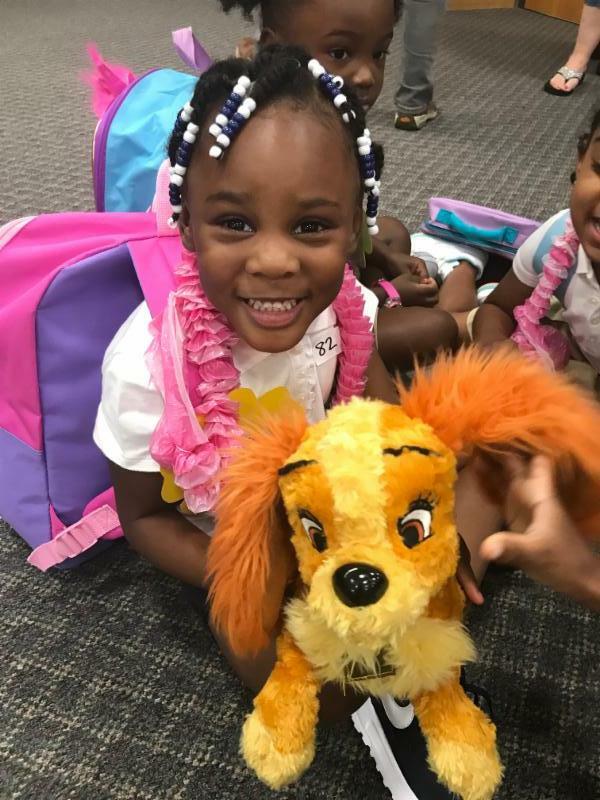 The program started off as a pilot last year but has garnered tremendous success. Sixth grade students Chip Joiner and Wyathe Freeman post questions to the INQUIRY BOARD in Ms. Ingram's Science Class. 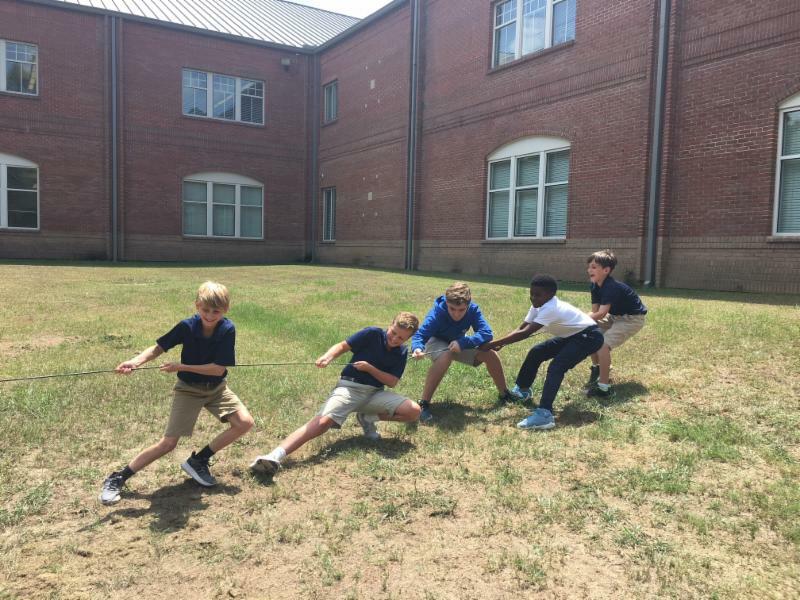 Students in Ms. Ingram's 6th Grade Science Class explore the laws of force during a game of tug of war! 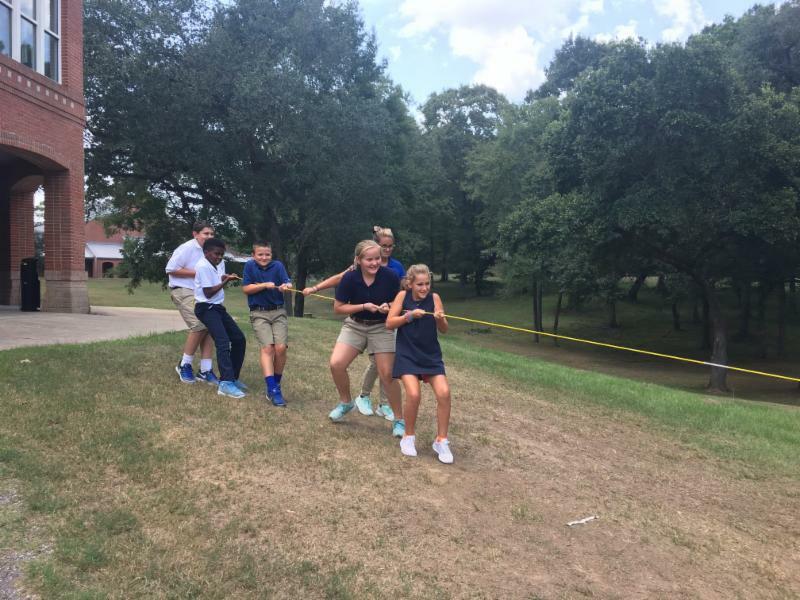 Mrs. Lyons gets her Physical Science students moving in an activity demonstrating Kinetic Theory. 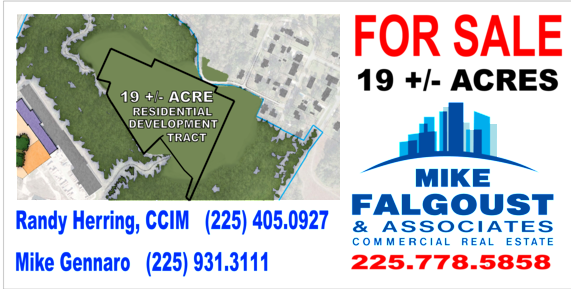 In case you missed it, the Baton Rouge Business Report highlighted the property this week. Please click here to see the article.